Don’t forget to checkout our 2019 Summer Class Schedule. ASAP’s Fun Summer Camp is held in our high energy big gym where kids will not only receive the best gymnastics instruction available provided by the most dynamic instructors around, but will have a great summer experience doing it! Campers will flip, bounce, swing, and tumble as well as participate in themed activities, arts and crafts, and summer fun. Flip in the pit, bounce on the trampolines, swing on our bars and tumble on our spring floor. ASAP is the place to be this summer! ASAP Kids Zone Camp is for potty trained campers ages 3-5. Academy Fun Camp runs Monday-Friday from 9am-4pm. ASAP Academy Camp is for campers who are 6 years of age or older before the first day of camp. We only accept online registrations. $30 non-refundable deposit required for each camp at the time of registration. Balance must be paid one week prior to the camp start date. This action packed half day camp is for children ages 3 to 5 years old in our Kids Zone Facility located at Platinum Fitness. 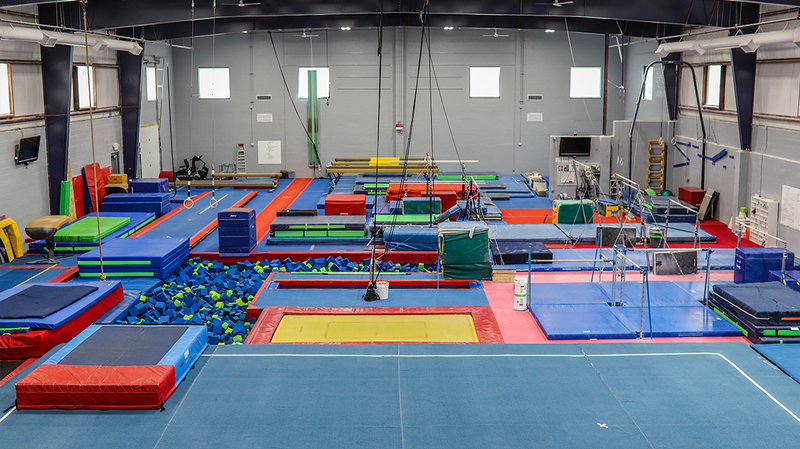 Campers will complete different gymnastics circuits for bars, tumbling, and motor skills. Children will also play games, arts and crafts, water day, and special themes throughout the summer. Kids Zone campers must be potty-trained. No diapers or pull-ups. A snack and drink will be provided for Kids Zone Campers. This action packed week long camp is for children ages 6 and older. Camp will be held Monday – Friday from 9am – 4pm. Campers will have the opportunity to experience instruction in developmental gymnastics on the Olympic events and trampoline. Additional fun will include group gymnastics, games and activities. Attire: Girls must wear a one piece leotard and have their hair pulled back. Boys wear close fitting gym shorts and tucked-in t-shirt. For the safety of the gymnast and staff, no baggy or loose fitting clothing will be permitted. Academy Campers must pack a lunch each day of camp. Drinks and snacks are provided. Early drop off and late pick up are available from 8am-5pm at a cost of $5 per ½ hour. *If you plan to take advantage of early drop off or late pick up, you must sign up online. Phone calls will not be accepted. Camp discounts are as follows: Students signed up for multiple camps will receive a 10% discount starting with their 2nd camp. Example: 1st camp $185, 2nd camp $166.50, 3rd $166.50 etc. Families with multiple siblings signed up for camps will receive a 10% discount starting with the 2nd child. *Discount applied to lesser value camp first (KidsZone). Example: Child 1 (Big Gym): $185, Child 2 (Big Gym) 166.50, Child 3 (KidsZone) $99. Registration begins April 1st ONLINE! $30 non-refundable deposit required for each camp.